When appealing to our company to realize all of your PSD to Wordpress projects we always guarantee a hand-made and from scratch written Wordpress theme. Because all of our Wordpress developers have a multi-year PSD to Wordpress conversion experience there is no mountain too high or no river too deep. 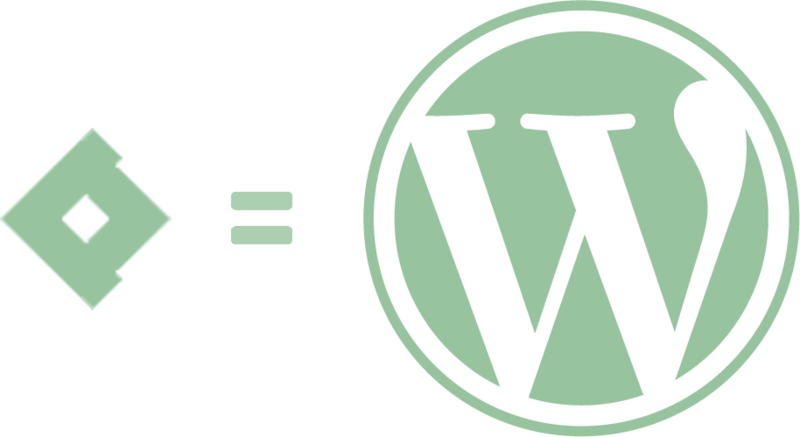 All of our Wordpress themes will be delivered fully-functionally and if needed, we will even realize the actual server installation…for free. Your website will be displayed flawlessly on all browsers, tablets and smartphones and because our developers build your project from scratch by means of on-site search engine optimization a high search engine ranking is almost a certainty. A satisfied client makes our day! Would you like us to realize only one PSD to Wordpress file conversion or are you maybe representing a company which has many PSD to Wordpress projects? We welcome each and every customer and we ensure a sustaining high-quality level and sharp prices. Our main concern is your complete satisfaction. To realize this excellent customer satisfaction we are available 7 days a week. Our extended opening hours ensure a quick reply on all of your questions, concerns and remarks. Because we perform a manual PSD to Wordpress conversion small flaws and bugs can unfortunately not be avoided. Nevertheless, smooth communication and bug reparations are always free, even when the actual project was finished a few weeks before. Because of our international orientation we were able to turn hundreds of international visitors into satisfied regular customers. To be able to serve all of our customers, no matter which time zone they are residing in, we are proud to present you our extended opening hours. Even on Saturday and Sunday we are at your disposal to ensure a quick reply at any time on all of your questions. Because our Wordpress developers have a multi-year PSD to Wordpress process experience and because all of our projects are hand-made and started from scratch we can guarantee a high-quality service and delivery. This experience also results into a quick PSD to Wordpress conversion which on its turn results into sharp prices. When looking for a company which can provide you with a clean and well-structured coded Wordpress theme which is clearly displayed in all different browsers and which is highly ranked in all search engines by means of HTML on-site search engine optimization, our company is your ideal partner in development. When lacking the technical experience a PSD to Wordpress conversion process can be a time-consuming and stressful task. By converting the files yourself you will be confronted with various difficult process steps which are very time-consuming to resolve or which you won’t be able to resolve at all. These stressful PSD to Wordpress project situations can be avoided by appealing to our company. The only thing you have to do is to send us your PSD files to allow us to develop a fully-functional Wordpress theme within the set deadline. If requested we will also install the delivered Wordpress theme for free on your server allowing you to instantly start adding content by means of the user-friendly admin panel! A new project, a new company, a new idea. Many reasons could be thought of to create a new website. All reasons have one thing in common though; a solid website with a good basis will guarantee a smooth start and no worries or stress about a non-functioning website or bad search engine results. A high search engine rank will attract many free and oriented visitors. We realize a well indexed code which will significantly increase the high rank possibility! No matter if your visitor uses a normal PC, a laptop or a tablet or smartphone; your website will always be correctly displayed! A fast loading website will increase the overall customer satisfaction and experience. Besides, the website’s loading time is an important search engine ranking factor. All delivered Wordpress themes comply with the HTML and CSS W3C standard which ensures a correct device interpretation of the developed code. Fonts which are not browser supported will be implemented with @font-face to ensure a proper display in all browsers. jQuery sliders, tabs and other animations are free of charge. Very advanced animations nevertheless are delivered on additional payment. Our Wordpress developers are looking forward to handle your design to a fully-functional Wordpress theme conversion. Become convinced by our high-quality PSD to Wordpress service and place your first order still today. Feel free to request a quote without further obligations or to contact our sales or support team.